Debates are ranging across the country concerning drive-throughs and their impact on walkable communities. Many communities have outright banned them. Here's a guest article by Anthony Morando, Esq. LEED AP BD+C of New York's Cuddy & Feder LLP, answering the question if drive-throughs and walkable communities can co-exist. There is a clear trend in planning and zoning to encourage pedestrian friendly access and walkability, particularly for communities throughout Westchester and the Hudson River Valley. This is not a surprise to anyone in the land use and real estate development fields. What does seem to be a surprise, however – at least to some municipalities – is that allowing drive-through facilities (dare I say, encouraging them in targeted locations) will not in and of itself jeopardize walkability. Indeed, drive-throughs and walkability can and should coexist. “Walkability” is a difficult term to define and often means different things to different people. A walkable area is generally understood to be a place that emphasizes people over cars by providing comfortable and convenient pedestrian facilities (such as sidewalks, cross walks, and bike paths) within a mix of land uses. The problem confronting many businesses is that municipalities often interpret this concept to mean that drive-through facilities have no place in a walkable area and so they ignore them or prohibit them through zoning. This is a mistake. 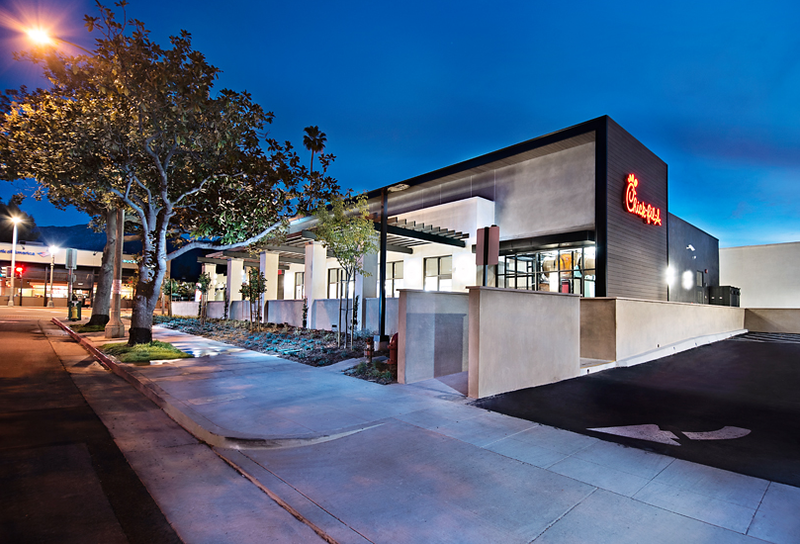 Drive-throughs are an important part of modern communities, even walkable ones and should be zoned appropriately, not excluded – and certainly not limited to one type of land use. Years ago drive-through facilities were thought of only as fast food restaurants and banks. This may have been a historically accurate view but it has long since changed. Drive-throughs are now commonly associated with other land uses, important to a community, such as pharmacies, post offices and grocery stores. They provide an essential service for the community, often with the intention of serving those who are most susceptible to illness or fatigue. A perfect example of this is a pharmacy with a drive-through prescription window. Picture this: It’s the early evening and a father is on his way home from the pediatrician’s office where he learned his toddler daughter is sick, and he needs to pick up medicine for her on their way home. While he would typically park his car and stroll along the sidewalk into the store, walking is not a viable option for him this night – as his daughter has a fever and is resting in the car. I can say with confidence that this father was grateful his town adopted zoning that allowed the pharmacy to install a drive-through window. Municipalities seeking to update their zoning laws with the intention of improving walkability may incidentally (or strategically) adopt regulations that prohibit drive-throughs. Businesses and property owners should pay close attention to rezoning processes to ensure that these facilities are permitted and reasonably regulated. There are many design details and controls that an owner can suggest to a municipality in support of allowing drive-throughs in their community. A site containing a drive-through window, while also offering wide sidewalks, bike paths and textured crosswalks may be more walkable than a site without a drive-through and without these pedestrian features, for example. A site’s layout and place within the local road system may also lend itself well to accommodating a drive-through. Indeed, drive-throughs can even be designed and placed to strategically divert or prevent traffic from interfering with pedestrian facilities. Early education about the benefits of drive-throughs can make a big difference in gaining traction with a local legislative body. Walkability does not have to end where a drive-through begins. They can actually work together. It is just a matter of perspective. Article by Anthony F. Morando, Esq. LEED AP BD+C originally published on the The Cuddy & Feder Blog. The Cuddy & Feder Blog provides regular updates on the latest issues and developments affecting law and business in Westchester, New York City, the Hudson Valley and Connecticut.